To build the Lookout, we combined Danners legendary durability and support, with the unmatched comfort found in the all-new Danner Comfort System (DCS). This new duty offering delivers best-in-class durability, support, and cushioning right out of the box. 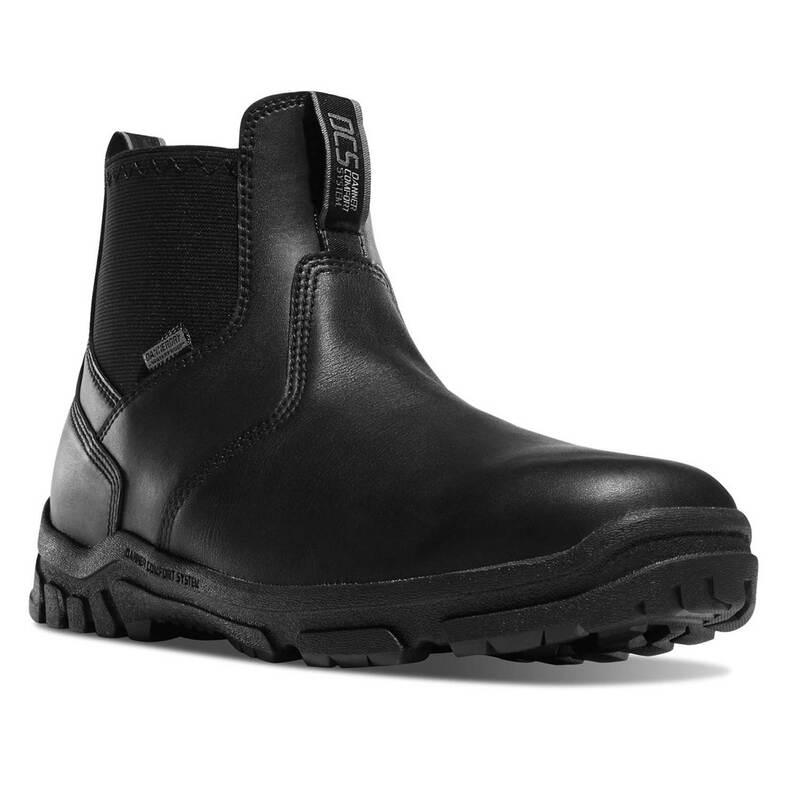 It features a waterproof, polishable, full-grain leather that stands up to the job, and our waterproof Danner Dry liner that pulls moisture away from the foot for all-season comfort. The cushioned comfort comes from a patent-pending, dual-density footbed, combining underfoot venting for maximum airflow and an Airthotic heel clip for support. A wider toe box allows for a more responsive fit, while the rugged outsole delivers outstanding traction and maneuverability. FULL-GRAIN POLISHABLE LEATHER UPPER: Made from a smooth, full-grain leather, this strong and durable upper is completely polishable. PLUSH DUAL DENSITY FOOTBED WITH AIRTHOTIC. HEEL CLIP: This patent-pending, plush, dual-density footbed provides superior cushioning, underfoot venting for maximum airflow and Airthotic. heel clip for support.